Coach's Corner - Marilyn Monroe hand signed/certified album page. 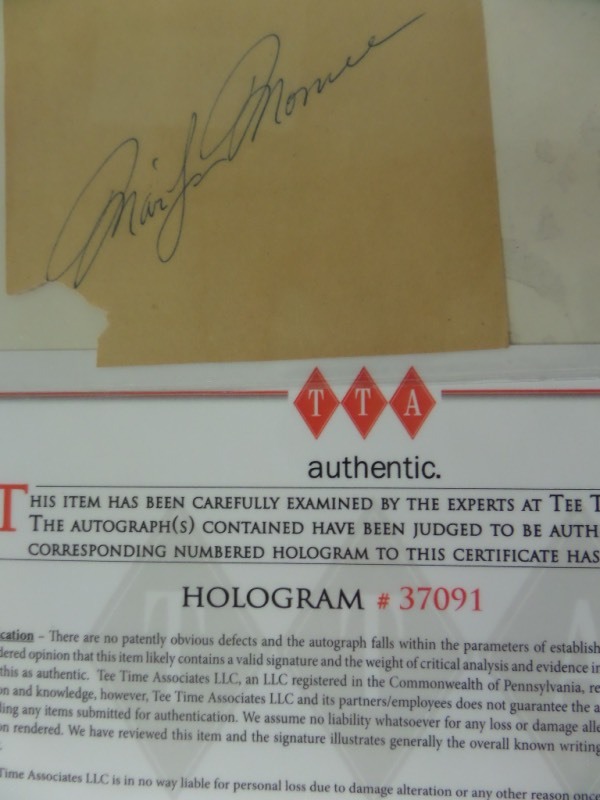 Go Back to Lot List Marilyn Monroe hand signed/certified album page. This 1950's era page is cut to about 4x4 square in size, and comes blue ink signed by the late star. The signature is a beauty, lifetime certified real by Ted Taylor and his team at Stat Authentic, and value is thousands! It is a super easy, super solid Hollywood buy and hold investment, and sells here, as usual, with NO reserve!